Heavy collaboration alert! West Africa meets East Africa as two African heavyweights – Flavourand Diamond Platnumz team up for this heavy tune. 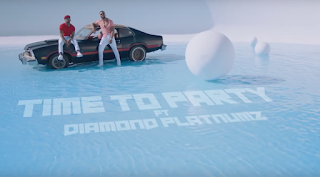 Urban highlife act – Flavour hires Tanzanian superstar Diamond Platnumz on this party starter of a song aptly titled “Time To Party“. The crispy fresh visuals was shot by Patrick Elis.